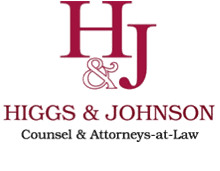 The new newsletter from the Higgs & Johnson law firm takes a look at The Bahamas' accession to The World Trade Organization. View a PDF of the newsletter here. The World Trade Organization (WTO) is an international organization whose main function is to reduce barriers to international trade so as to ensure that trade flows as smoothly, predictably and freely as possible. It provides the legal and institutional framework for the negotiation and oversight of trade agreements between member states. Currently, 160 states are members of the WTO and another 23 are in the process of joining. Decisions at the WTO are essentially all made by the consensus of the member states through rounds of negotiation. Arguably, the central and most important pillar of the WTO is the Dispute Settlement Body (DSB). The DSB provides the exclusive forum and procedure for the settlement of disputes between member states arising out of the interpretation or application of the provisions of the various WTO agreements so as to ensure that the rules agreed to between member states are enforced. How will participation in the WTO impact The Bahamas? The Bahamas is currently the only country in the Western Hemisphere that is not a member of the WTO. It was initially considered by the Government that joining the WTO was not necessary. However, the Government’s outlook shifted in 2001 when The Bahamas applied to become a member. This is an excerpt from Higgs & Johnson as it appeared on October 31, 2014. For updates or to read the current version of this post in its entirety, please click here. Fund managers from around the world attended the Julius Baer Alpha Conference today to discuss the performance of global markets, opportunities arising from worldwide economic recovery and investors' best strategies for maximising returns. Human rights, constitutional law, regulatory litigation and environmental attorney Fred Smith, QC, (pictured, stock photo) will address the Rotary Club of East Nassau today at the Nassau Yacht Club.